Everyone wants to make their home look its best. Your home makes a statement about you, both inside and out. With a solid garden design plan, your landscape architect can work with you to bring your personality out in your home. You’ll find great tips on this page to help your landscape design process reach its full potential. Your home’s landscape is the first thing people see. You should add your own style to your garden design so your house speaks to who you are. If you like to host formal parties, or the odd get together with friends or colleagues, you’re going to want a different style than if you like to keep it casual, just going with the flow. Your landscape sets the tone for your visitors. Putting your ideas down on paper will help you really figure out the vision you want. Draw your sketches multiple times. Redraw the, trying out different variations. Getting your landscape design process right from the start helps avoid making changes after you’ve already started spending money. 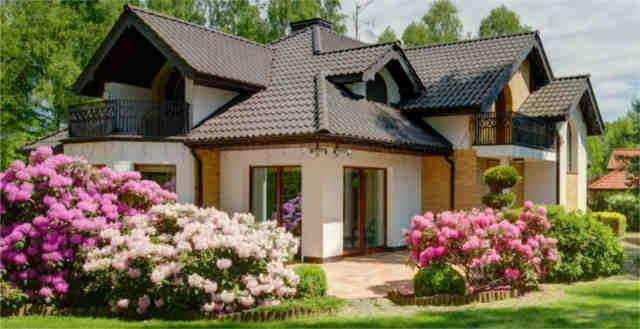 Go through your preliminary landscape design and determine how much you plan to spend. A landscape architect with experience planning new landscape designs can help you decide what kinds of elements to include in your plan and potential alternatives to achieve your desired design without going over budget. This rule applies to both interior design and garden design. Objects grouped together in odd numbers are more visually appealing. Three plants look better than two, 5 plants look better than 6. So, when you plant your plants, keep it to ones, threes, fives, and so on. If you end up planting more than ten plants, you can get a little loose with this rule, but you should still try when possible to stick to odd numbers. Once the last plant is in the soil, either make a drawing or take photographs of all your plants. You want to record your plant names, as well as how many you planted, when you planted, and where you purchased your plants. Most plant suppliers offer a guarantee on perennials, your records will make it easy to replace any plants that don't survive their first season. These records are also great for keeping track of Spring flowering bulbs. Once you settle on a design, you'll need to plan for upkeep and maintenance. You’ve got to decide if you'd prefer to do the work yourself to keep landscape looking the way you envisioned, or if you’re going to hire a maintenance crew. If you’re going to maintain your landscape yourself, be sure that you research everything about the care and upkeep of your plants. If you're considering a landscape design project for your home or business, SQLA, inc. is here for you. Call (562) 905-0800, or visit our website for the answers to any landscape design questions.